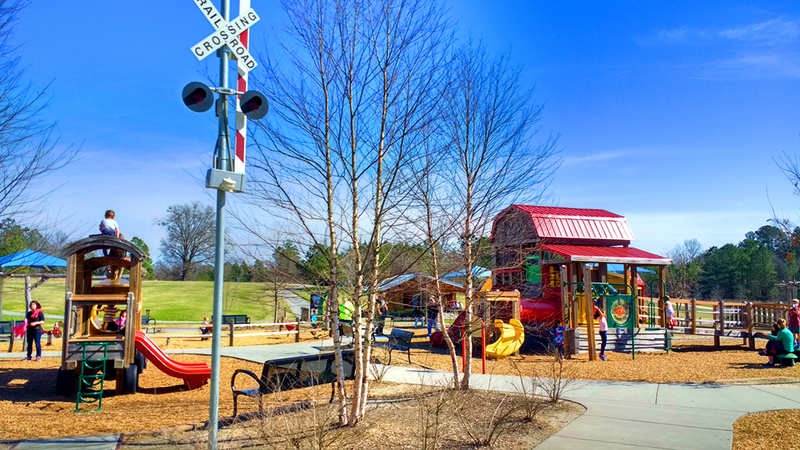 Knightdale is one of the fastest- growing communities in the Triangle metro region. With many employment opportunities, access to Wake County Public schools, recreation opportunities, shopping, dining, and a close proximity to Raleigh, Research Triangle Park, and other attractions, Knightdale is a desirable destination. As area experts, The Jim Allen Group can help you find the perfect neighborhood, whether in in Knightdale or a community in the greater Raleigh area. In such an ideal location, right along the Outer Beltline, I-540, Knightdale offers residents a small town feel, with easy access to big city amenities. How’s the market in Knightdale NC? One of the great advantages of buying a new Knightdale home is the education available. Excellent schools are here as well as charter schools, private schools, and other choices. The Wake County Public School System serves Knightdale. You can feel good knowing that schools in Knightdale are considered exceptional places to learn. Ready to find your dream home in the greater Raleigh area? Contact the Jim Allen and the team of expert realtors at The Jim Allen Group! These agents are waiting to help you through the entire home buying process. Even if you have not narrowed down the area or neighborhood, they can help you find the perfect neighborhood and home for you. With over 300 years of combined experience, you want the Jim Allen Group on your team! Contact us at (919) 845-9909 to get started. Home prices in the triangle are rising! Find out what your home is worth? We would be glad to help in getting the current home value and offering valuable home selling insight as well as listing resources.